Back in 2016 (which seems like an eternity now), I famously said that no one could pull off a henley. That had nothing to do with the wearer, and everything to do with the fact that most henleys look like Kmart long johns. The proliferation of men’s bespoke clothing and apothecary brands has changed all that, and we’ve buttoned up a lot of henleys since. Here are the best. Taylor Stitch launching a merino sub-brand? Hell yes we were excited. The Zaha Henley didn’t disappoint- up there with the softest merino we’ve worn, well-cut, and ultralight. The mercerization process strengthens the Merino fibers and makes them even softer to the touch. all the natural performance benefits of Merino with none of the itch. Bonus: Their Oscar Sweater is our new favorite pullover. Western Rise’s take on the henley is the lightest option on the list. A tencel and merino hybrid, the DryWeight henley comes in unique colorways and is the only option sporting stripes. Like most of Western Rise’s garments, the hem is Oxford-cut, a trend that every men’s top should adopt (more on that soon). Bonus: Their Merino Pocket Tee is in contention to be our favorite tee, period. More on that soon as well. Pistol Lake’s henley looks like your favorite old shirt you can’t bring yourself to get rid, but wears and performs like your gym gear. Like the Western Rise above, this is another great alternative to straight merino when you know you’re really going to sweat. Bonus: Their Minimalist Performance Hoodie is one of our new favorite layers, and will be making an appearance in our best hoodie roundup. 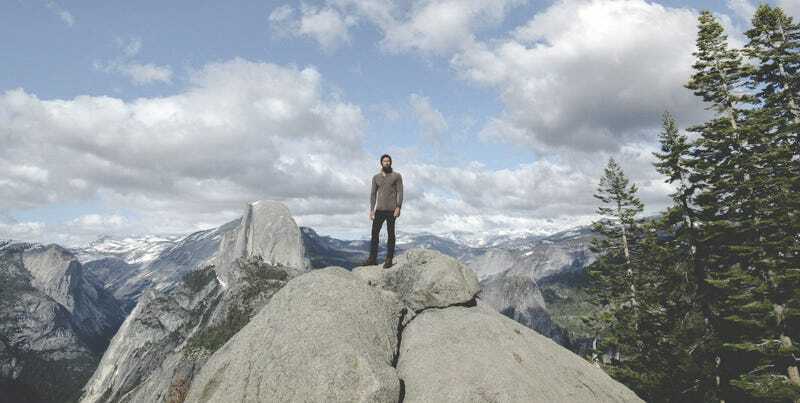 A lot of this list straddles the line between mountain casual and athleisure, and Oliver’s Convoy Henley wears the most like a performance garment. Odor resistant, water repellant, and temperature regulating, the Convoy was originally designed for rowers, and will handle whatever you throw yourself at while wearing it. Bonus: Oliver’s All Over Shorts with Liner will be ranking highly in our upcoming lined shorts roundup. Flint and Tinder’s marled henley is our favorite cotton option, and we basically don’t even bother with cotton at this point, so that’s saying something. The Flint henley is non-technical comfort food; durable American-made cotton that wears and washes well. Bonus: Flint and Tinder’s 10-Year Hoodie is your favorite.